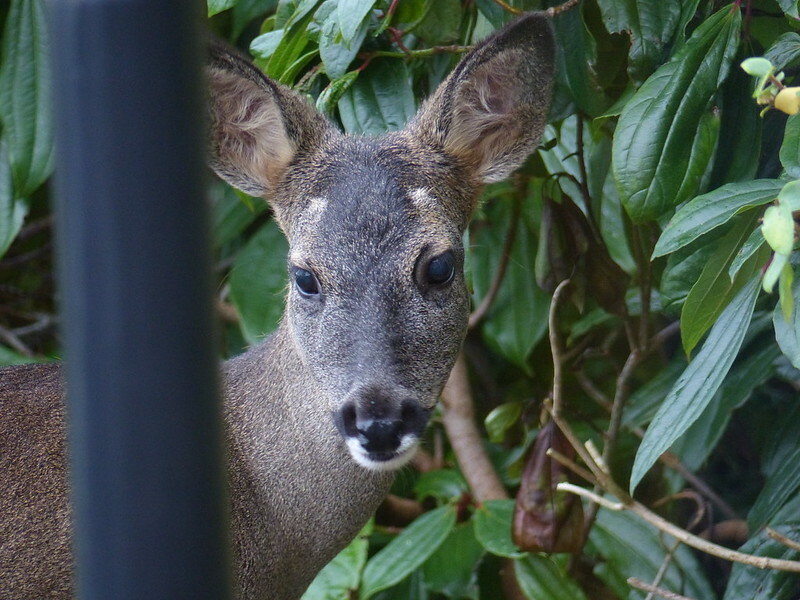 Roe deer continue to be frequent visitors to our garden. In fact, we see them increasingly often. Partly, perhaps, because the kids seem to have rather lost interest, for now at least, in the trampoline, so the garden is quieter than it has been. 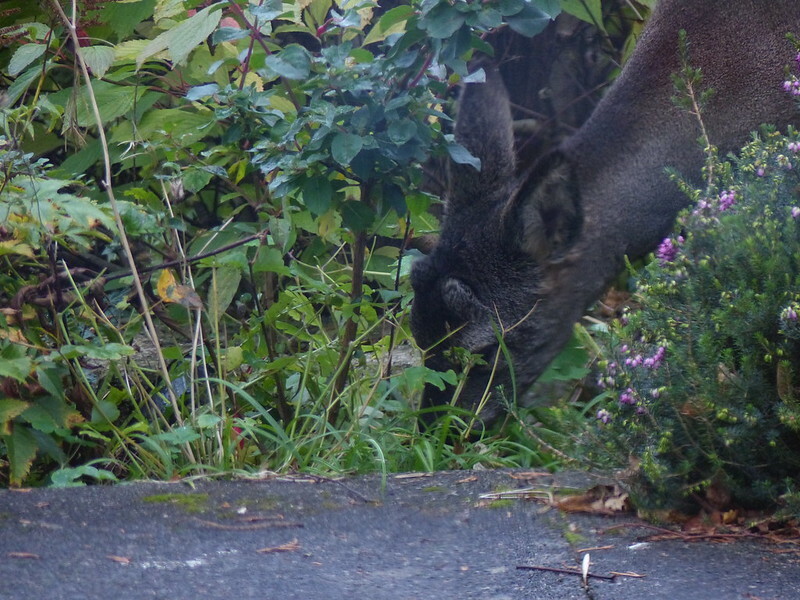 We saw deer almost every day last week, but these photos are from back at the tail-end of October. 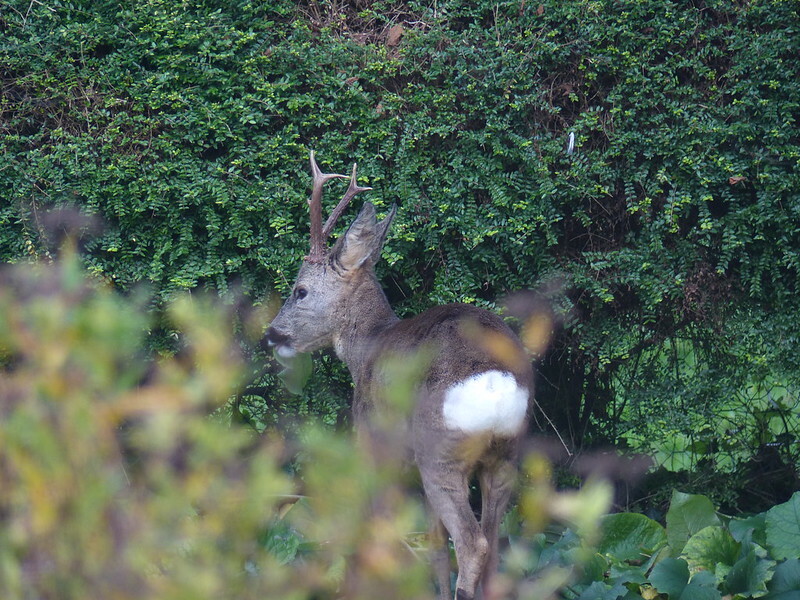 This buck was in the garden when we arrived back from our walk to Arnside. 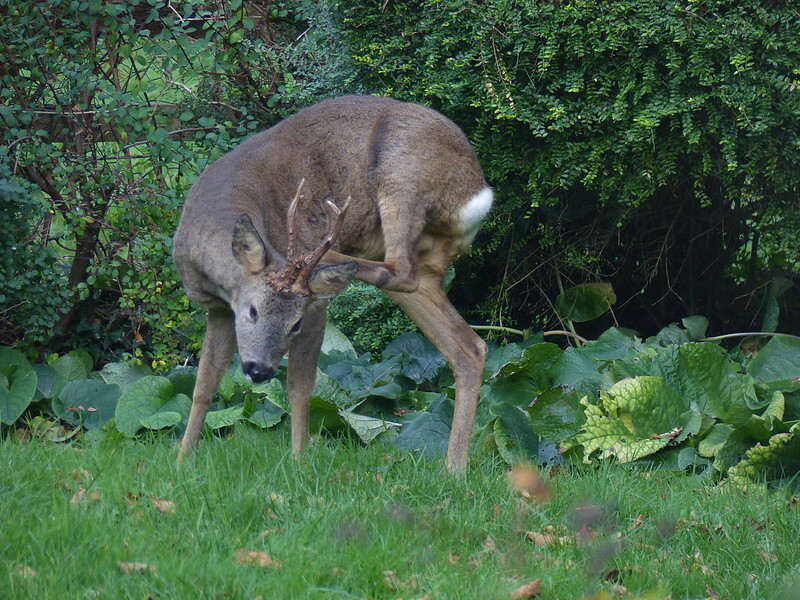 Red Deer are also found in this area, but they are considerably larger than Roe Deer. 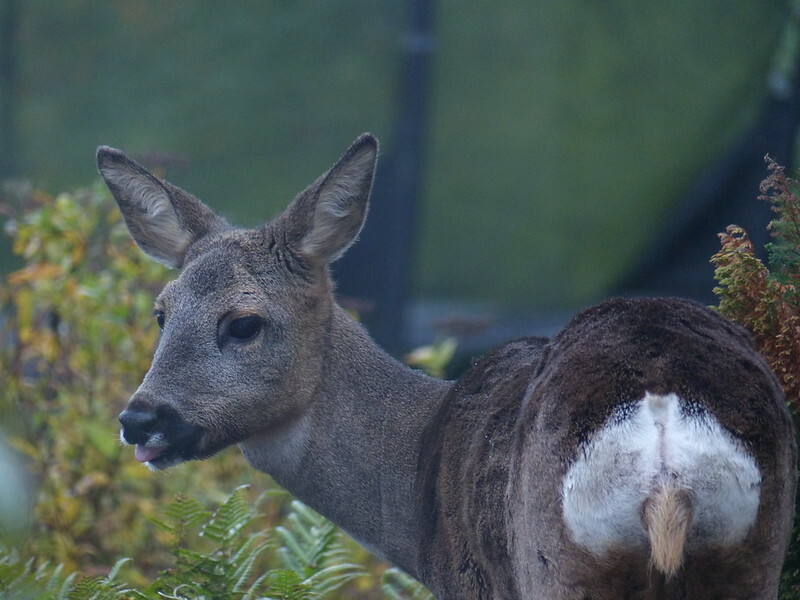 The white rump patch is also a good distinguishing feature of Roe Deer. Notice that she has a short tush, unlike the male. With this doe were two smaller deer, presumably her fawns from back in the early summer. They were still smaller than her, but catching up. 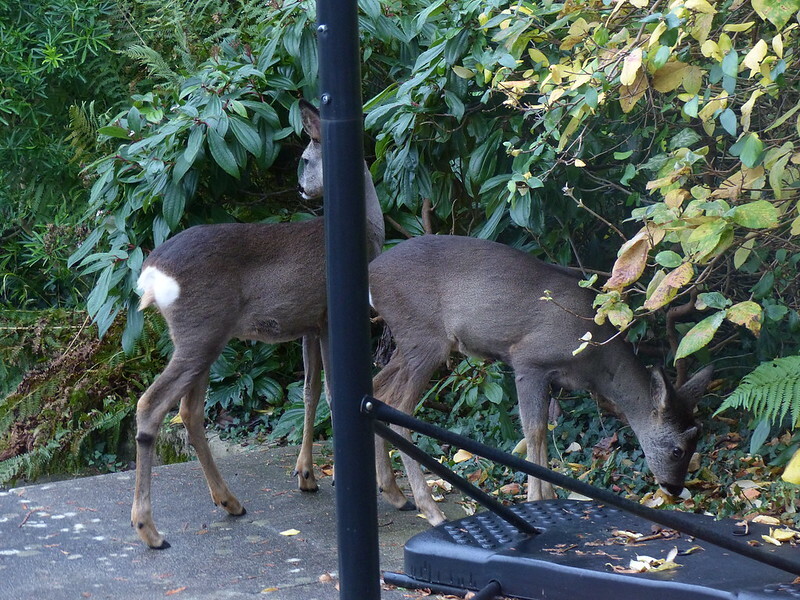 We’ve had visits from a doe and two fawns on and off through the summer and autumn. Were they always the same three? Hard to know – I like to think so. 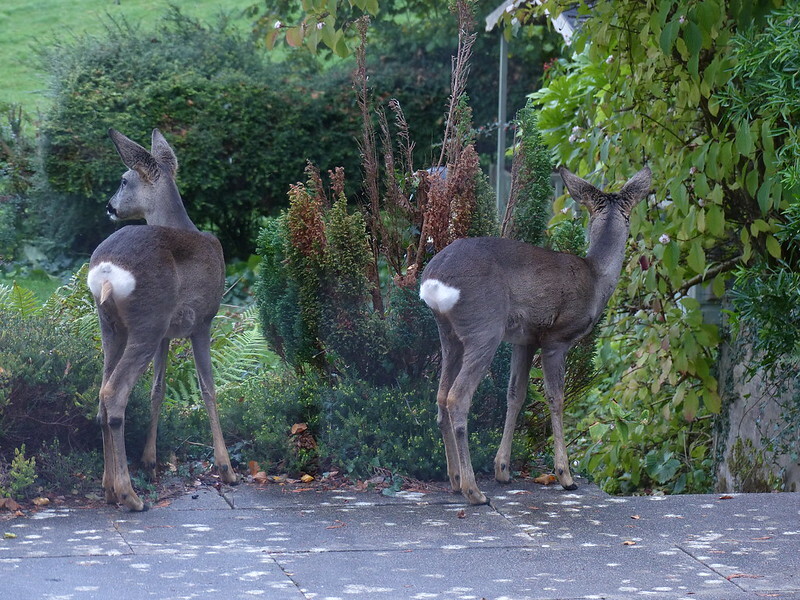 …she’s on the left here, with a tush like her mum. There are photos of this, or another, Roe Deer family scattered through this post, if you want to see them in their gorgeous golden summer coats. ← Around the Coast Again. How wonderful to have these beutiful creatures visit regularly.